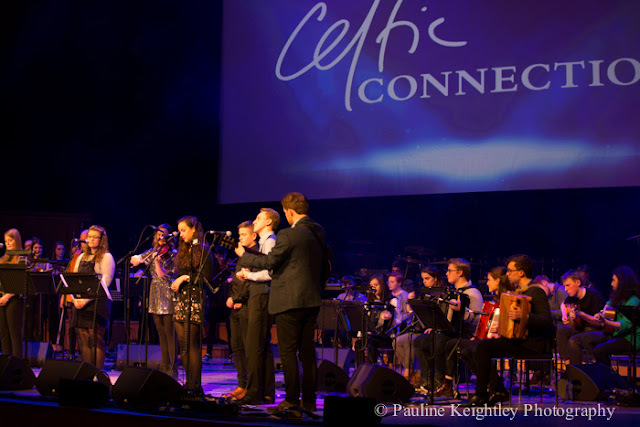 The Celtic Connections opening night was a rousing concert with over a hundred young musicians on stage, to celebrate the passing traditions between the generations. They enjoyed a memorable experience of Gaelic music alongside some of Scotland’s most celebrated folk musicians. 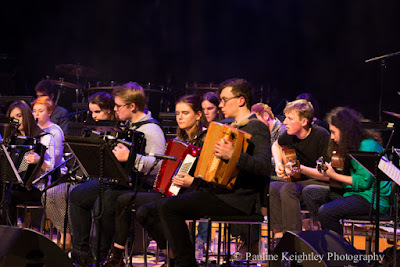 This opening concert began with a moving film by a young musician and composer from the isle of Grimsby - of his grandfather and father and his hope that the traditions and Gaelic can be passed on through the generations by preserving and celebrating our heritage and culture through music. After which we were treated to rousing tunes by the Celtic Galician folk orchestra Son De Seu. There are seven Celtic nations. This year Celtic Connections festival is paired with the small Celtic country of Galicia. Also performing were the Orkney youth musicians, HadHirgaan and the young musicians from the 5 Feisean, which is held annually around Scotland. The evening was led by music director and fiddler Duncan Chisholm. 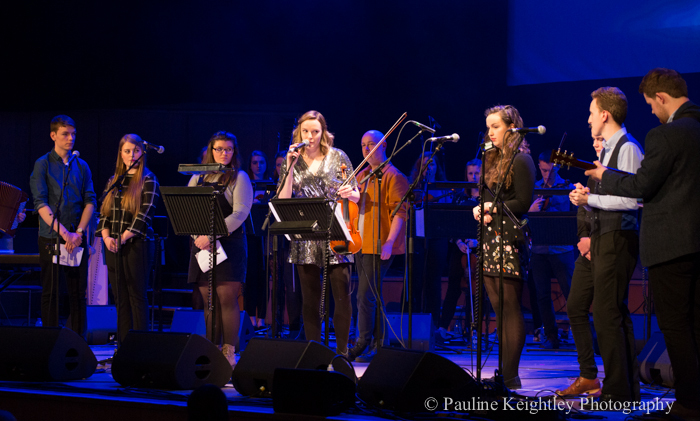 Also appearing were Gaelic singer Julie Fowlis, fiddler Lauren MacColl,folk band Daimh, fiddler Aiden O”Rourke, piper Brighde Chaumbeu, and Donald Shaw (festival director) and his Harvest music. 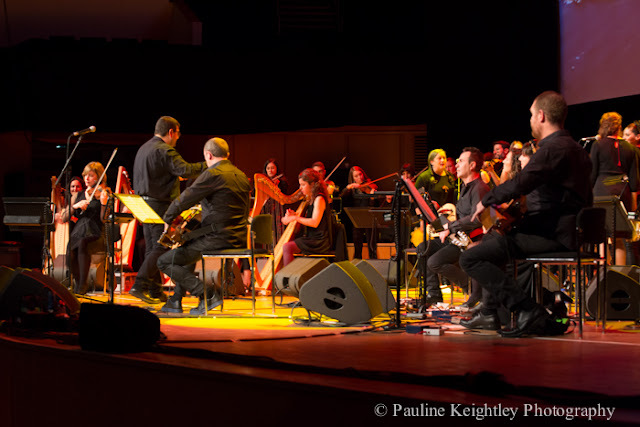 Celtic Connections also celebrates folk musicians who gained their success through attention at the festival. 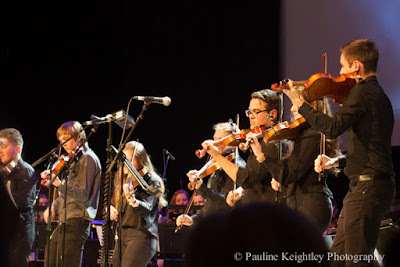 I hope the young musicians were inspired by this memorable opening concert. What a first class experience for the young performers tonight. 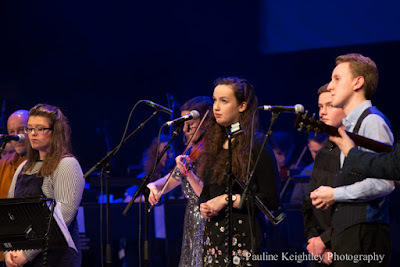 I don’t understand Gaelic, but I enjoy the Gaelic singers who perform each year at Celtic Connections. There is something magical about it and Gaelic song is very popular at Celtic. 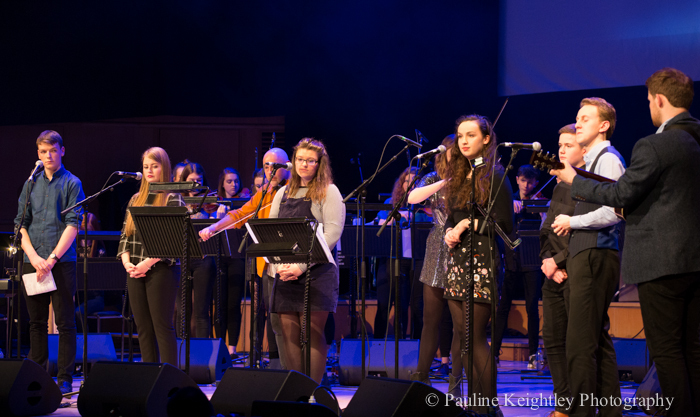 2018 was the year of the young people in Scotland, who I hope were encouraged to have their voices heard. Interesting. 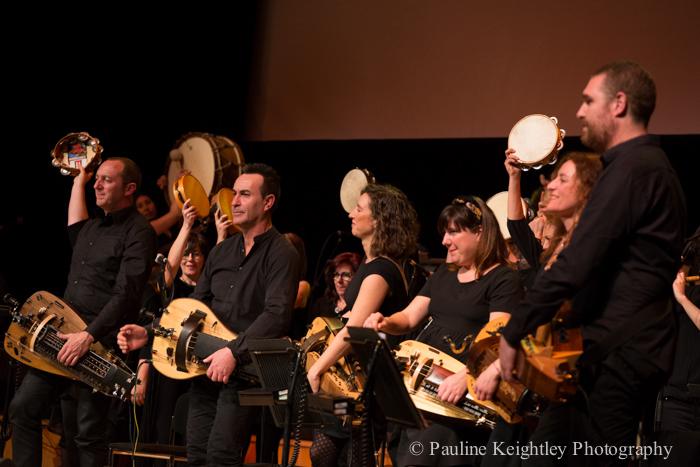 This year Celtic Connections festival is paired with the small Celtic country of Galicia. Galicia sits on the north west corner of Spain – and has had to fight for it autonomy..
Galicia, is an autonomous community in Spain’s northwest, is a verdant region with an Atlantic coastline. The cathedral of regional capital Santiago de Compostela is the reputed burial place of the biblical apostle Saint James the Great, and the destination for those following the Camino de Santiago pilgrimage route. The western cliffs of Cape Finisterre were considered by the Romans to be the end of the known world.